An article published in the journal “Nature” reports the recognition of a new species of primitive humans that was named Homo luzonensis. A team of researchers studied a number of fossils discovered between 2007 and 2015 in Callao Cave, on the island of Luzon, Philippines, concluding that these are the remains of individuals belonging to a species of hominins different from those hitherto known who lived on the island between 50,000 and 67,000 years ago. The history of the genus Homo has become more complex over the last few decades with the discovery of fossils with various similarities and differences with respect to Homo sapiens. Asia seems a continent particularly rich in fossils of hominins and according to studies published in recent years some populations belong to different species of which we have only some fossils. Denisovans are an extreme case since so far only a few bones have been found, on the other hand it was possible to recover fragments of their DNA that offer precious information on this species. In 2007 a single bone was discovered in Callao Cave and dated to at least 67,000 years ago. The specimen was nicknamed Callao man but the discussions concerning the attribution of the bone to a Homo sapiens or to another species remained without a conclusion because there was no definitive proof. In the following years more bones were discovered in different occasions and now various finger and toe bones, some teeth and a child’s femur are available and were examined by a team of researchers. 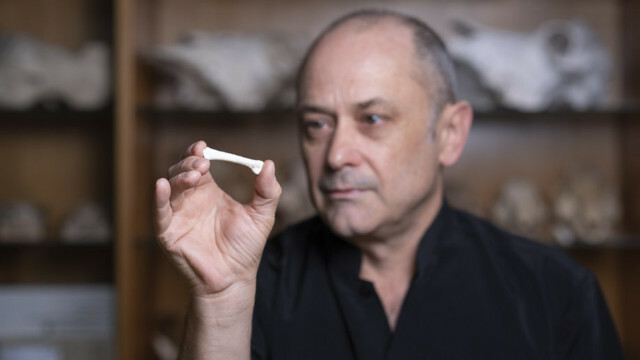 Professor Philip Piper of the Australian National University (ANU) stated that probably these hominins were small based on the fact that the teeth found are small and generally in mammals teeth size reflect body size. He also pointed out the characteristics of the fingers and toes, which make them more similar to those of some australopithecus than to those of modern humans. It’s not clear whether these are primitive characteristics inherited from an australopithecines that lived a couple of million years ago or are adaptations to life on the island of Luzon. These are questions similar to those that researchers are asking about other hominins, Homo floresiensis, which could descend from an early lineage of the genus Homo. There was an attempt to extract DNA from the fossils attributed to Homo luzonensis but with no success. Unfortunately the tropical climate with strong heat and humidity favors the degradation of DNA with the consequence that after a time between 50,000 and 70,000 years it’s no longer possible to find fragments. The cold Siberian climate in the area where the fossils of Denisovans were found and other caves on other continents are much more favorable to DNA conservation so we have pieces of genome from individuals of various species of hominins even ten times older than the ones from the Philippines. Establishing the existence of a new species starting from a few bones always leads to discussions and the comments to the announcement concerning Homo luzonensis weren’t an exception. Stone tools and remains of slaughtered rhinoceroses dating back to about 700,000 years ago were found in the Philippines but no fossils of hominins of the time were found so they could be traces left by a species other than Homo luzonensis, perhaps from their ancestors or perhaps they were populations that arrived in the Philippines independently. Paleontologists and paleoanthropologists are just beginning to understand the history of hominins in the Philippines and other regions of Asia. Compared to twenty years ago, that history is proving to be much more complex and in these cases more findings are needed to obtain more information on hominins that were able to reach various islands already in ancient times.